Buzzweld 20L hamper RAMMED TO BURSTING POINT with CUTTING, GRINDING, PPE, AND PREPARATION kit to keep you busy for ages! FX100 polyurethane Seam sealer/ adhesive (including metal Caulking gun. 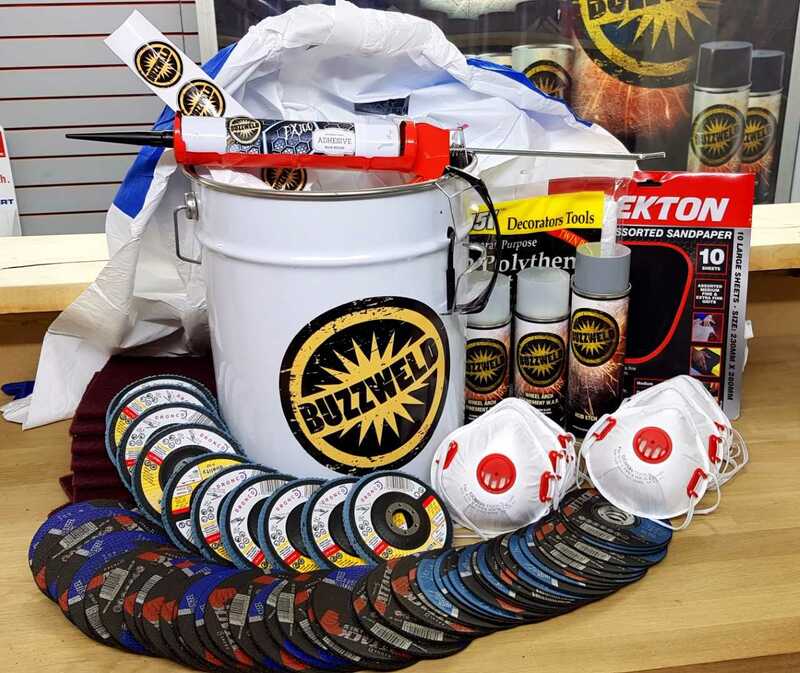 1x Buzzweld 20L re sealable bin to keep all your prep kit in, mix paint in, or use as a heavy duty Bin.